Quick Electricity prepaid electricity is for Texas residents who prefer to pay ahead for their electric service rather than receive an end of the month bill. Benefits of prepaid lights include a fast, same day electric connection, avoiding a credit check, zero down, daily usage reminders, easy payments and in some cases, free power. Our service territory includes the Dallas/Fort Worth metroplex, Houston and surrounding areas, Abilene, Corpus Christi, Galveston, Odessa, Waco, Lewisville, McAllen, the Rio Grande Valley and 400+ Texas towns in between. Call us now (877) 509-8946 to sign up for prepaid energy or order online day or night. Are you looking to stay in budget, get the lowest available rates, and/or avoid a credit check? Then prepaid electricity or “Pay-as-you-go lights” is for you! 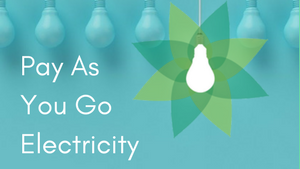 Find out how Quick Electricity can save you time, money, and hassle, and even get you free electricity. Looking to avoid committing to a long-term contract? Want to take advantage of variable rates? Moving soon? If you answered ‘yes’ to any of these, Month-to-Month energy plans may be just what you need. Check out these flexible offers. Get ready to love weekends even more with free nights and weekends electricity, brought to you by Quick Electricity. Save $$ and get the most out of your energy bill each month by choosing plans that don’t charge any fees during nights and weekends. If you know exactly what you want or simply can’t find the perfect prepaid electricity plan, you always have the option to build your own plan with the top electric companies in Texas. 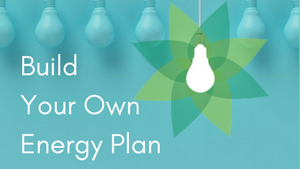 You can choose the length of the plan, whether or not to make it a green plan, and much more! Veterans can enjoy exclusive rates, perks, and discounts from some of the top electricity brands. Lock in a low 1- or 2-year rate. It’s our thanks for your service to our country. Are you ready to go Green? If you want to save money and reduce your impact on the environment, then choose from one of these 100% renewable energy plans. You can go even cleaner with solar panels from Sunfinity, solar partner of Quick Electricity. 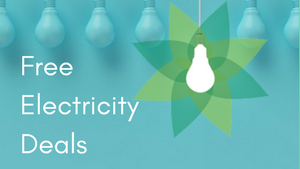 Quick Electricity offers a fast, easy way for Texans to shop and compare prepaid electricity rates from the top energy companies across the state. In addition to the major metros of Dallas/Fort Worth, Houston, and Austin, we serve many more deregulated areas. Shopping for Texas electricity has never been more convenient. What Does Energy Deregulation Mean for You? Take advantage of living in a deregulated area and compare providers with Quick Electricity. We help you find the best plan for your needs and make setting up a breeze. For more on deregulation and fun energy tidbits, visit our Quick Electricity blog.